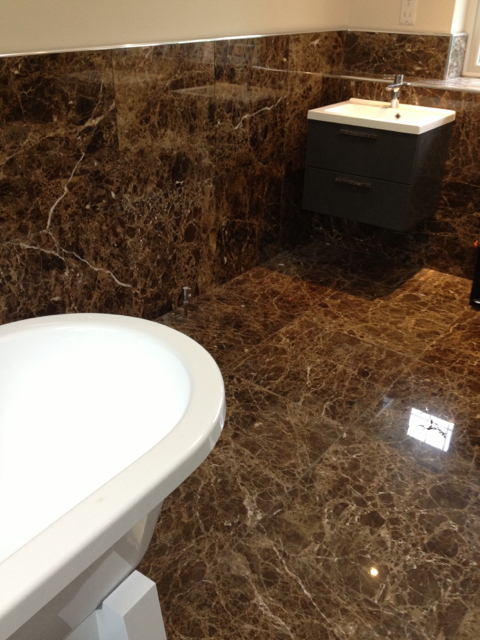 Homeceramics are a small team of professional tilers based in Berkshire. 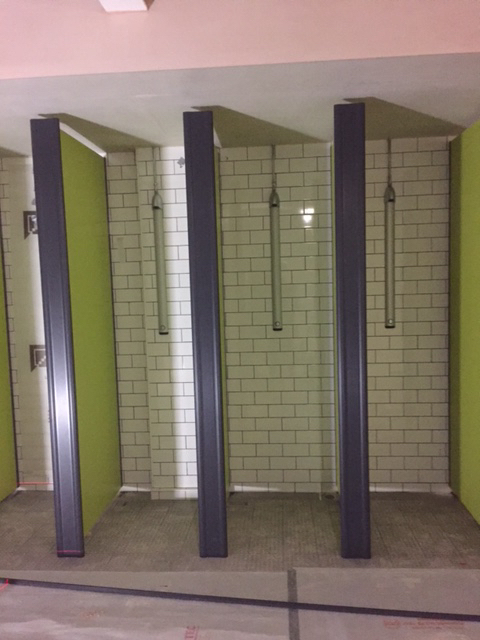 We offer both commercial and domestic tiling and provide a complete service from design and tile sourcing to installation. We have been trading for 22 years and have earned an excellent reputation for a professional service. Offering the very highest standards of workmanship and use only the best quality materials. 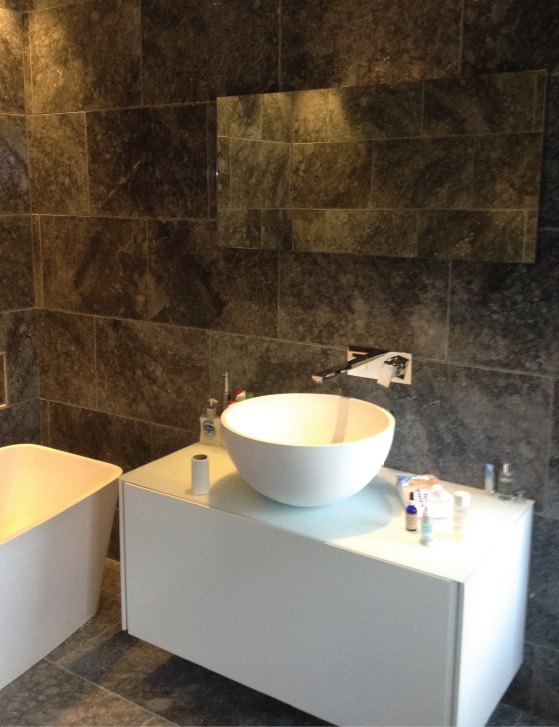 We can install glass, mosaic, stone, porcelain or ceramic tiles and advise you on the best tile for purpose. With the majority of our work coming from referrals we are pleased to say our work speaks for itself. We offer all quotes and estimates free of charge and are always happy to discuss all aspects of the job from design and suitability to the best working arrangements for minimal disruption to your day. We can provide references and have recently joined Check a trade where you can view previous client comments. 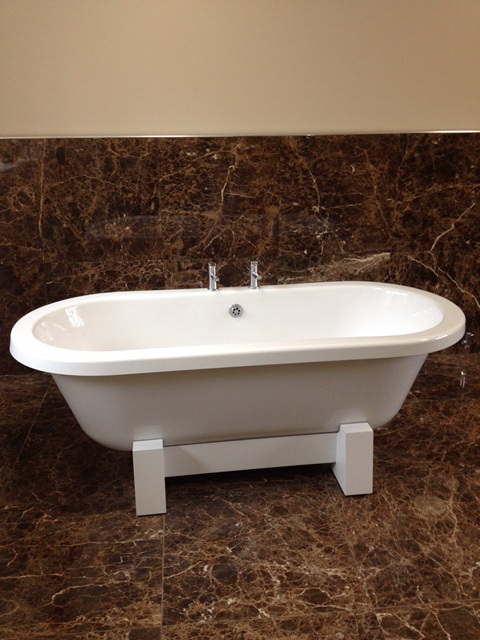 Indoor or outdoor, new bathrooms, kitchens, conservatories and outdoor patio areas we can help with your next project. 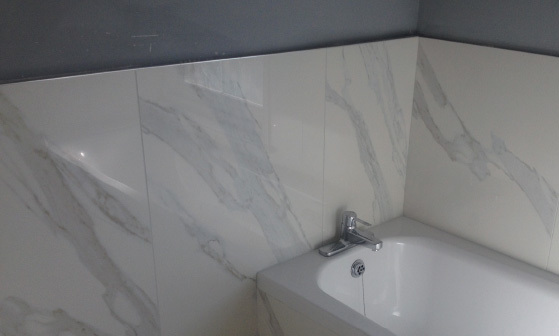 Bathroom tiling using large white porcelain. We hold a wide range of experience in commercial environments and hold all relevant skill cards and insurance. Our restoration projects range from restoring 17th century mosaic bathrooms in Paris to very old flagstone floors here in the U.K. If you are ready to start your next tiling project or need advice on where to start contact us today.